We have hired a new server with more capacity. Available from v6.0.2. On Saturday, 27 November at 23:59:59 UTC, the new ROS4/2000 will be available. 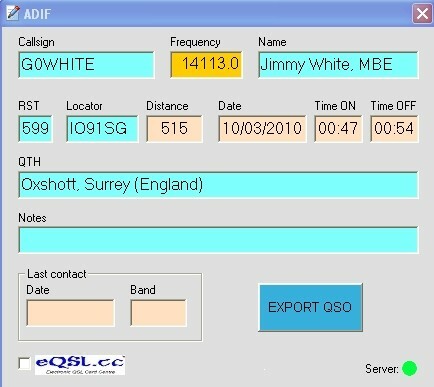 This mode will have a better rejected against interferences maintaining the same noise sensivity than current ROS4. Also, others changes have been done for the others modes, so old audio files cannot be decoded with new versions from 28 November. 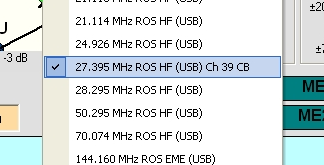 If you use ROS this Saturday remember restart the software at 23:59:59 UTC to update changes. 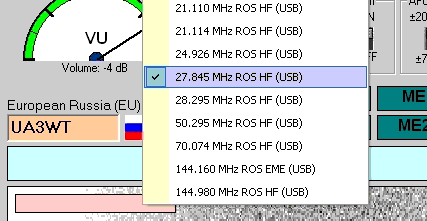 New ROS frequency for enthusiastic CB users. 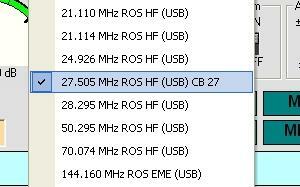 You need a SoundCard Interfacing to use ROS with your CB Rig. Some interfaces use a optocoupler to switch the PTT. The optocoupler output current is not enough for a lot of CB Rigs. You should use then the typical 2N2222 transistor or, if you want a complete isolation, use a reed relay. 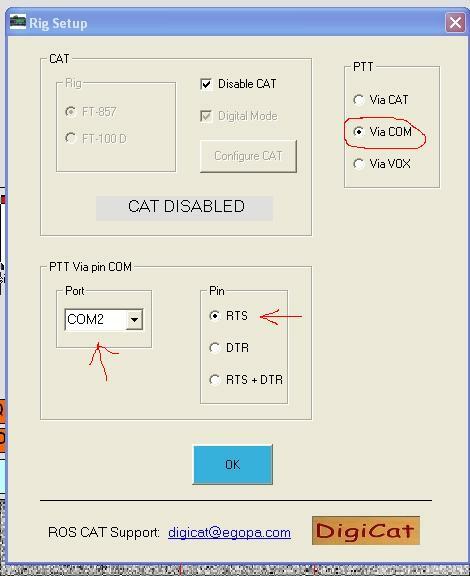 On Rig Menu, set PPT via COM and select your Serial Port Number. Pin is usually RTS (according your interface). 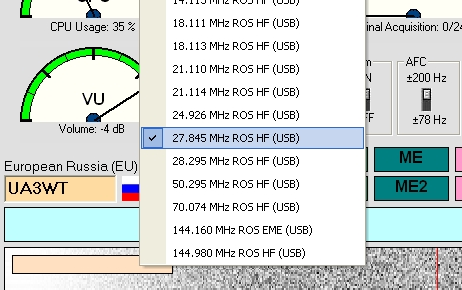 To do test, you can active the ROS Beacon. 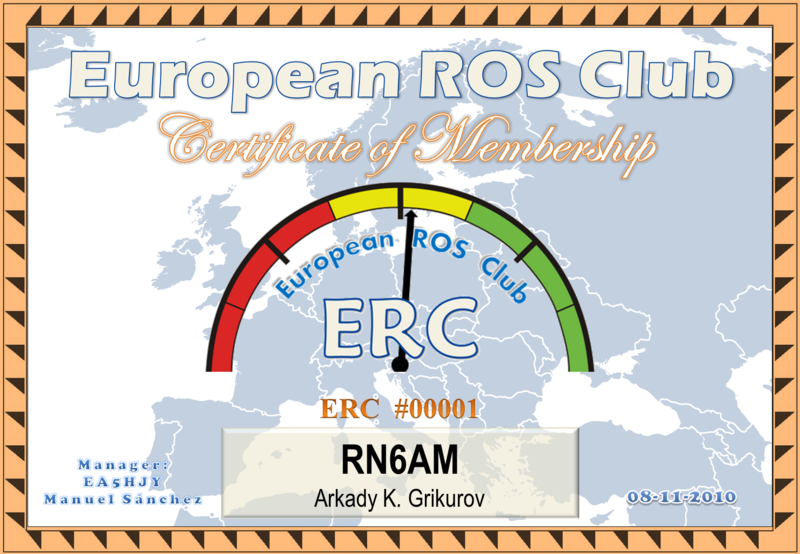 Now you can join to European ROS Club, founded by Manuel Sanchez EA5HJY.